A luxury holidays to the Canary Islands always guarantees sunshine, activities and culture, but which Canary Island to visit? 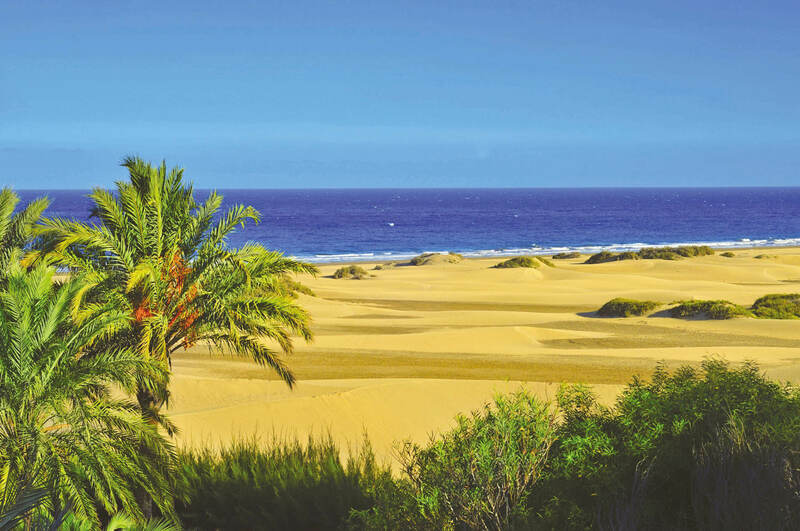 To find the best Canary Island for you we’ve put together the below guide to help you choose. The Canary Islands have long been a favourite for British holidays, with a short flight journey and reliable year round weather, it is no wonder they have become so enamoured by the British. With a plethora of luxurious hotels and well-equipped resorts there’s plenty to tempt even the most discerning traveller. However, there is much more to these charming islands than meets the eye, be it award winning-cuisine, stunning landscapes or undisturbed beaches they are a perfect destination for everyone. But, which is the best Canary Island? Which Canary Island has the best weather? Temperatures across the Canary Islands remain reliable throughout the year with plenty of cloudless, warm and dry days to go around. Each Island has its own microclimate varying slightly from each other. 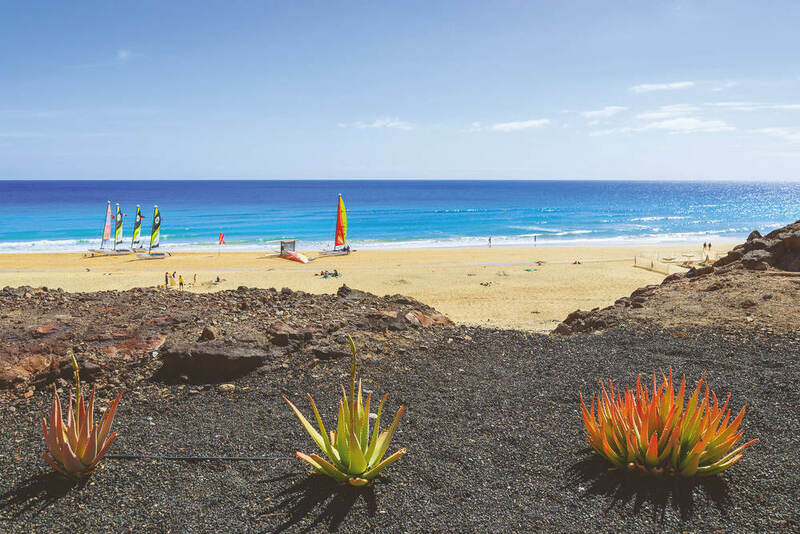 Tenerife tends to be the warmest with a yearly average of 23˚C and very little rainfall, whereas more easterly Fuerteventura and Lanzarote can feel cooler due to trade winds although still warm. What are the Canary Islands? The Canary Islands are a group of volcanic Spanish islands, located off the northwest coast of Africa. They include the inhabited islands of Tenerife, Gran Canaria, Fuerteventura, Lanzarote, La Palma, La Gomera and the smaller islands of El Hierro & La Graciosa. There are also small uninhabited islets including Lobos Island and the Chinijo Archipelago above Lanzarote which includes Alegranza, Roque del Oeste, Montana Clara and Roque del Este. Truly an island for everyone, Tenerife is particularly suitable for fun family holidays, relaxing retreats, luxury breach breaks and golf escapes. The largest of the Canary Islands, Tenerife surrounds the dramatic 3,718m volcano Mount Teide (the tallest mountain in Spain), adding to the allure of this eclectic island. For luxury holidays look no further than the upmarket resort of Costa Adeje, where designer shops, tempting restaurants and sophisticated nightlife take centre stage. North Tenerife offers a whole bag of treasures waiting to be explored. In resorts such as Garachico and Santa Cruz you can experience local life and charming rural villages. Want to find out more about Tenerife? Read more with our ultimate guide of things to do in Tenerife. The youthful Fuerteventura is the Canary Island’s second largest island offering desert-esque landscapes and miles of perfect beaches. The glistening turquoise waters and pure white sands attract beach lovers worldwide and the refreshing Atlantic breeze attracts watersports enthusiasts alike. From surfing to sunbathing and kiting to hiking there is so many things to do in Fuerteventura. For luxury Fuerteventura holidays, Corralejo and Jandia boast extensive white sandy beaches protected from the breeze, with the nearby Baku waterpark offering an excellent day out for families. For excellent nightlife and great shopping the resorts of Costa Calma and Caleta de Fuste boast a great array of shops and restaurants, as well as peaceful palm shaded streets. Although Gran Canaria is the 3rd largest Canary Island, it is the second most populous. 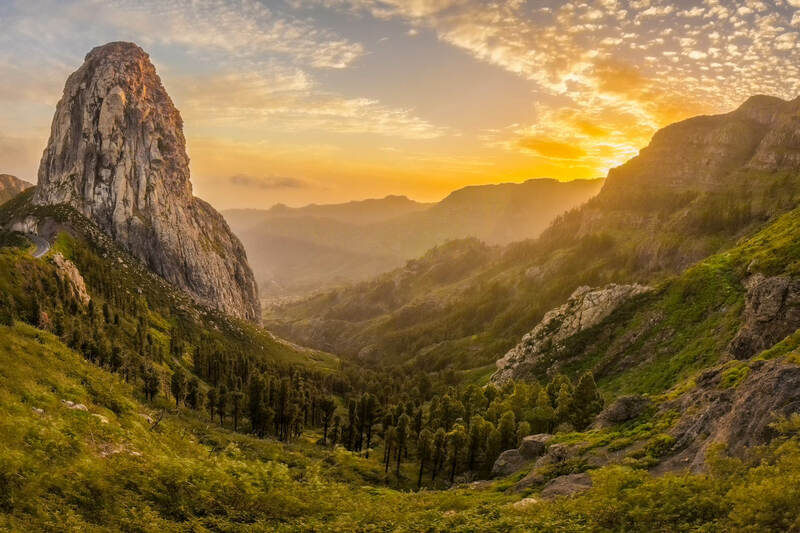 From dramatic mountains to golden dunes and lush forests to seaside towns, Gran Canaria’s diverse landscapes have earned it the nickname of ‘a continent in miniature’. Its exciting towns are home to a plethora of restaurants, chic bars and vibrant streets making it superb for nightlife seekers and its large beaches and luxurious resorts attract families and beach lovers alike. Excellent for shopping and exploring the beautiful marina Las Palmas is the islands capital city which also features a beautiful sandy beach. Find sophisticated restaurants and beautiful hotels in the resort of Maspalomas or its stylish next door neighbour Costa Meloneras. The picturesque resort of Puerto De Mogan offers a prettier and more charming side, perfect for a more romantic retreat. For an unspoilt beachy retreat and a volcanic adventure, Lanzarote is the Canary Island to visit. 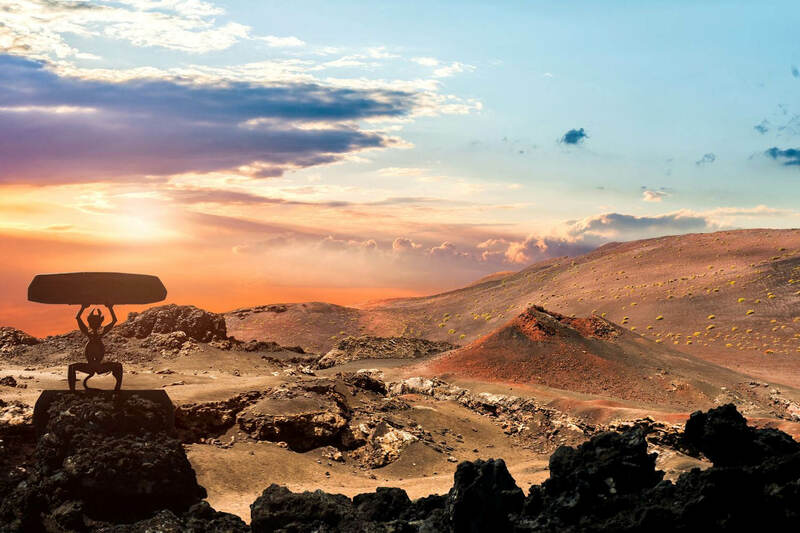 Moon style landscapes and the unmissable Timanfaya National Park rival a sci-fi movie scene and create a dreamlike location that will leave you speechless. Lanzarote’s history is dominated by the much-loved César Manrique who encouraged the gentle introduction of tourism, resulting in a lack of high rise buildings and over built resorts. Its strange landscapes and devastating volcanic past give it a very young history, meaning local cuisine is more based on surrounding islands and Spanish Tapas. For families and couples alike, the sophisticated resort of Playa Blanca offers pretty, palm lined streets, upmarket eateries and a beautiful mountainous backdrop. Puerto del Carmen boasts a more lively scene with shops and restaurants lining its sandy beach. For a more relaxed ambience, Puerto Calero’s peaceful marina it’s the perfect place to soak up the sunshine. For something a little different, Teguise is the old capital of Lanzarote, a delightful pedestrianised town with plenty of shops and a popular Sunday street market. Perfect for: Hiking and relaxed retreats. This fairy-tale island has earned its title ‘the island lost in time’. With its enchanting forests, mysterious landscapes and secret language, La Gomera is perfect for those looking for something a little different. Exciting hiking trails and jaw dropping ravines, make you feel like an avid explorer, without losing your holiday comforts. Just minutes off the ferry you’ll be travelling through dramatic ravines and glimpsing upon breathtaking sea views. Don’t forget to pack your walking boots as the true treasures are discovered on foot. For exploring the island, the fishing village of Playa de Santiago provides a perfect base and a tranquil vibe. The capital, San Sebastion, surrounds the island main port with numerous restaurants, shops and bars. La Palma is an un-commercialised paradise. Its jaw dropping scenery, lush green forest and dreamy night sky make it a unique experience indeed. With a plethora of beautiful walks and breathtaking scenery, La Palma is certainly the prettiest Canary Island. Although less known for its beaches, the dramatic black sand beaches are a joy to uncover. The island is a UNESCO Biosphere Reserve protecting its natural heritage. For the warmest weather on the island, Tazacorte is a tempting and historic village with excellent transport links, as well as extensive banana plantations, fishing harbour and beautiful black sand beach. On the island’s east coast is the tranquil resort of Brena Baja offering a wealth of shops, restaurants and a lively port. Need more reasons to visit? 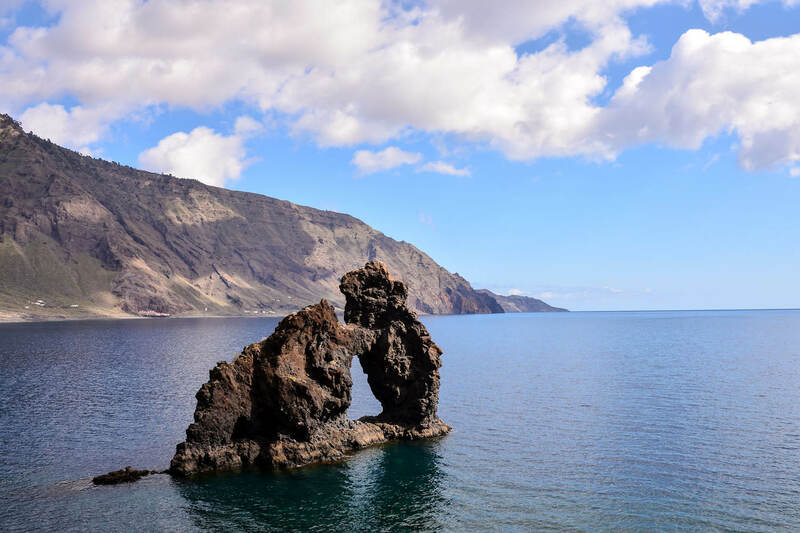 Find out more with our ultimate guide of things to do in La Palma. Just 278km squared, El Hierro is small and hard to reach. Its lush forest, strange ancient settlements and giant lizards attract explorers and those looking for something off the beaten track. As the most south west of the Canary Islands it is much less visited and mostly frequented by scuba divers and hikers. Each of the Canary Islands are great for families, with everything from water parks to volcanic day trips. Tenerife is the best Canary Island for families; you can feel like explorers in Teide National Park, get your thrills in Siam Park and spot Dolphins off the coast. 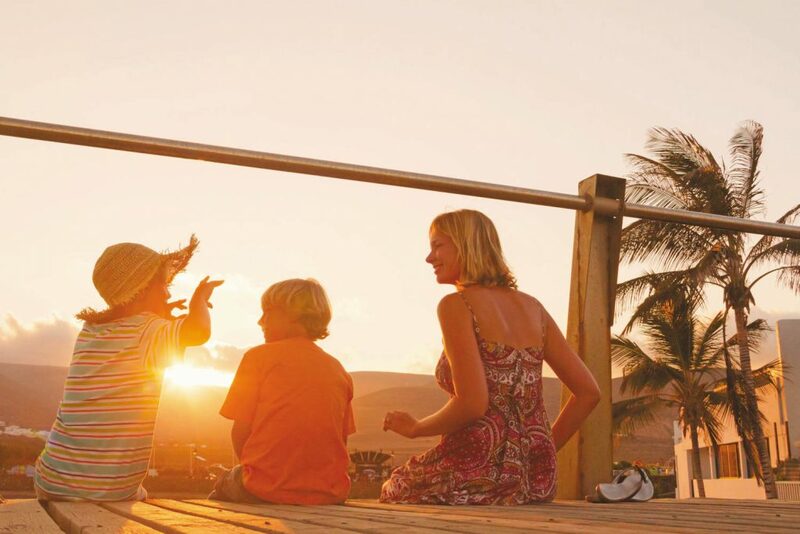 As the largest Canary Island, there is plenty to see and do, particularly for families, as well as a plethora of superb family friendly hotels. With year-round warm temperatures, Tenerife is great for visiting in the Easter holidays and over Christmas, where other destinations in Europe may be too cold. All the Canary Islands offer great walking trails and a plethora of different terrains. La Palma and La Gomera are the best for walkers as they are home to some of the most unique and untouched landscapes in the Canary Islands. 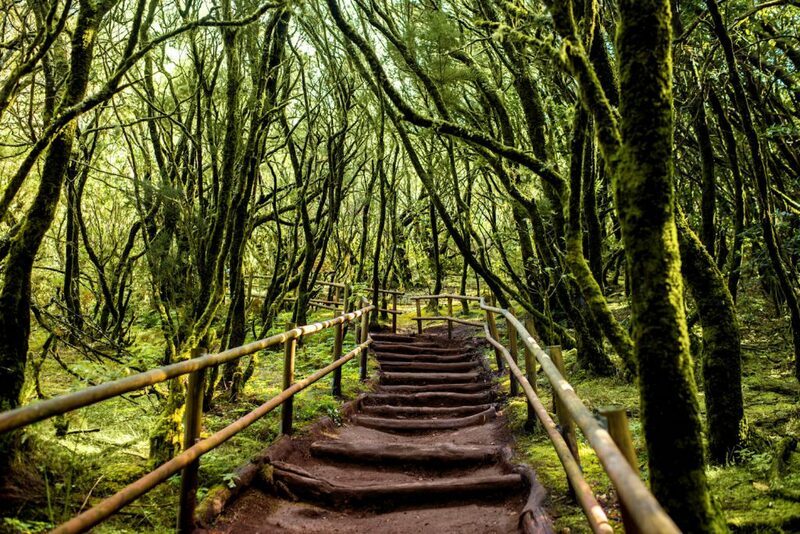 Dense laurel forests, clifftop views and dramatic deep ravines attract hikers to La Gomera, whereas untouched scenery, misty forests and clear night skies give La Palma a tempting edge. Both islands offer an impressive range of walking trails and challenges for all levels. 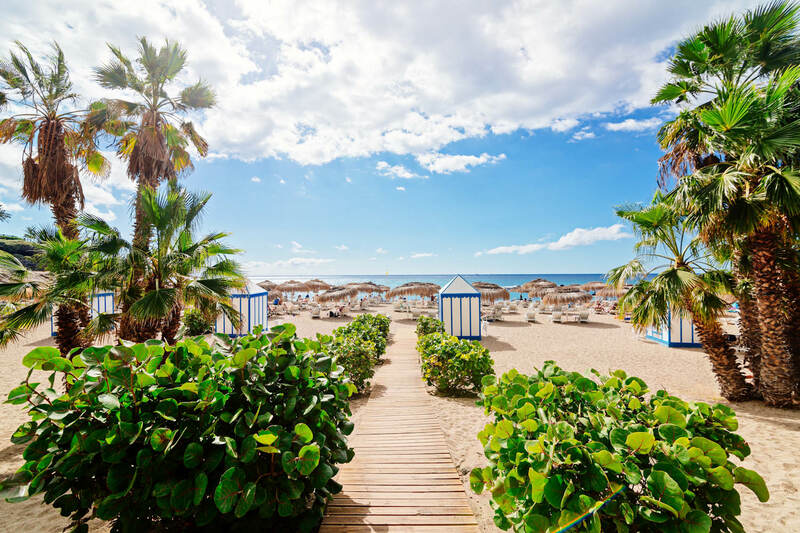 From the golden sands of Tenerife’s Playa del Duque to the vast dunes of Gran Canaria’s Maspalomas, the Canary Islands have stunning beaches every way you turn. 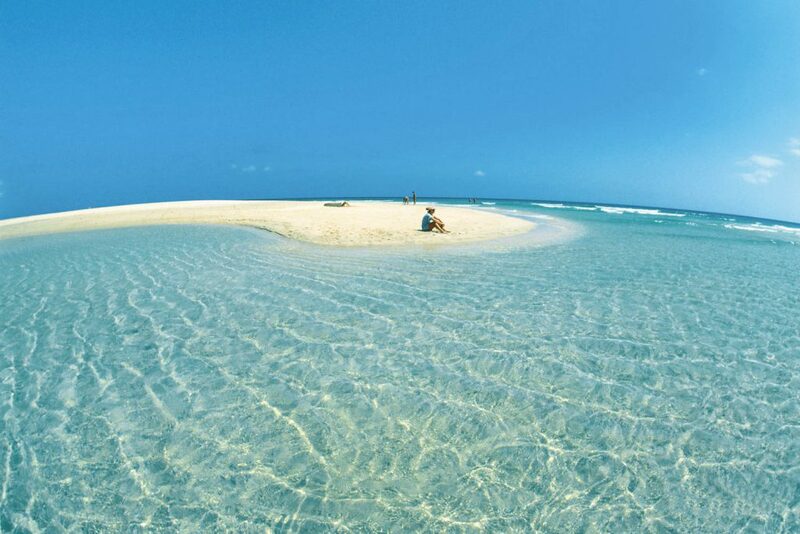 If you’re looking for a Canary Islands beach holiday, both Lanzarote and Fuerteventura are superb. With volcanic terrain, Lanzarote’s waters sparkle a unique colour of turquoise and are usually warmer than the neighbouring islands. 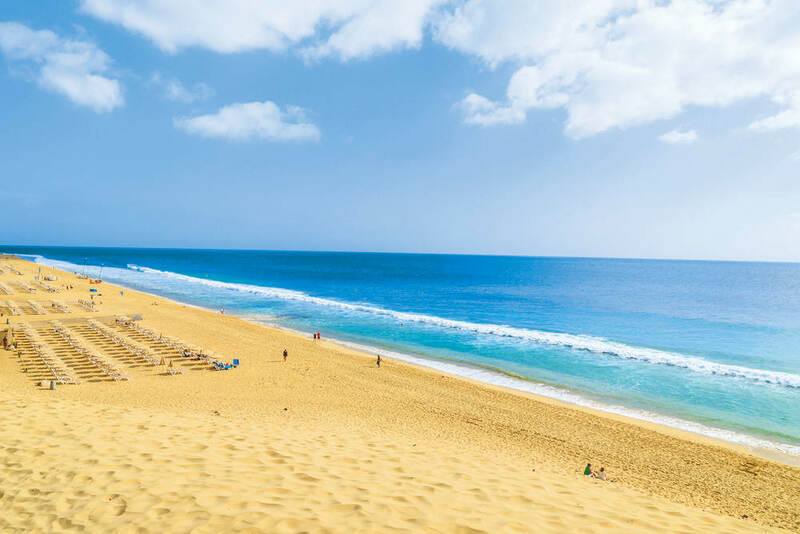 Due to its proximity to Africa, Fuerteventura experiences more winds, which over time have formed great long stretches of fine white sands, some without a person in sight. 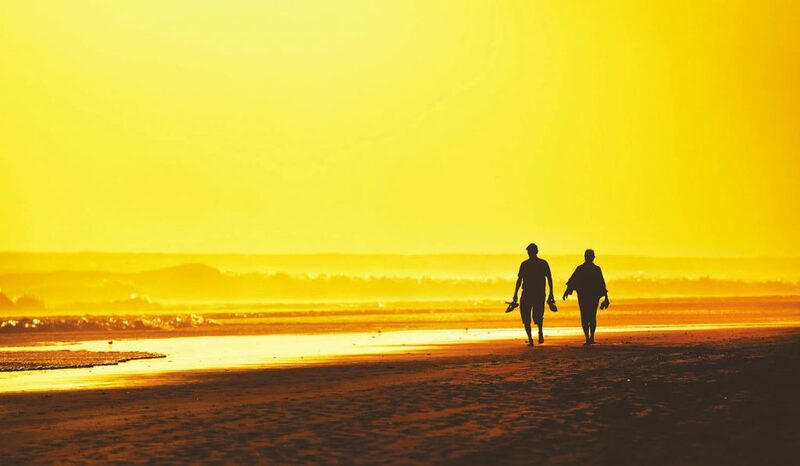 The best Canary Island for couples, depends on what you are looking for. Tenerife and Gran Canaria offer great nightlife, restaurants and activities, whereas La Palma and La Gomera offer more privacy and a retreat style holiday. We recommend a Tenerife and La Gomera two-centre holiday to get the best of both; enjoy food and wine in Tenerife and each-others company in La Gomera. Which Canary Island is the biggest? Tenerife is the largest Canary Island and most populous with an area of 2,034km2 and population of 898,680. Tenerife also receives the most annual visitors at 5.5 million in 2016. Spanish is the predominant language in the Canary Islands, although the majority of people speak English as a second language. On La Gomera island you may also hear the ‘Silbo’ language also known as ‘the whistle’; a language made up of Whistles to communicate across deep ravines. As part of Spain, Euros is the only accepted currency in the Canary Islands. La Palma – 4 hrs 30 min. The Canary Islands follow the same time zone as the UK, also moving clocks forward for summer time. Located off the African coast, the Canary Islands enjoy year-round warm temperatures. In fact, temperatures between the seasons vary only slightly, remaining between 18 – 24˚C on average. Due to their volcanic origins, mountainous terrain and frequent trade winds, the islands enjoy warm coastal waters which attract dolphins and whales. Frequent ferries travel across closer islands such as Tenerife and La Gomera and Lanzarote and Fuerteventura. Ferries across longer distances are available but less frequent. For quicker journeys between the islands, Binter Canarias airline connect each island with frequent and affordable services. Whichever Canary Island you choose, you are guaranteed a mixed bag of adventure, relaxation and most importantly, well deserved sunshine. Can’t choose? Why not try them all with a Classic Collection Holidays multi-centre. Great ferry links and local flight carriers make travelling between islands easy. Just give our reservations team a call on 0800 047 1066 and we’d be delighted to create an itinerary personalised to you.